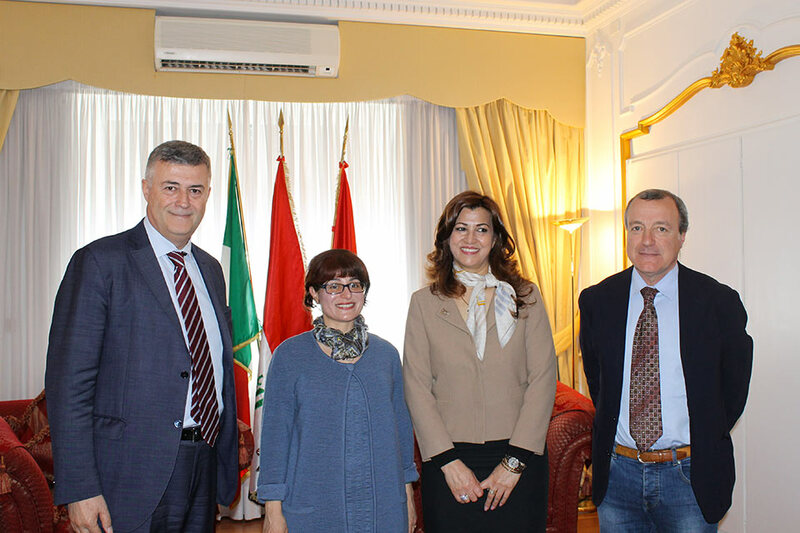 Today, Mrs. Rezan Kader, High Representative of the Kurdistan Regional Government to Italy, met at the representative office, the Italian Breeders Association (AIA). Present at the meeting, the General Director of the Association Dr. Roberto Maddè, the Head of Foreign Affairs Mrs. Alessandra Narciso and Dr. Michele Blasi, Director of the Department for Agricultural and Food Quality (DQM), which aims are to guarantee and certify the agricultural and food production. AIA, founded in 1944, counts inside 27 national farmers associations, 19 regional associations and 47 provincial and interprovincial associations. Thanks to this extensive branching in the territory, the Association supports every livestock sector, assisting Italian companies that deal with animal husbandry, promoting and enhancing the Italian product. The Association collaborated, among others, with the Ministry of Foreign Affairs and with EU and international bodies. Purpose of the discussion, the willingness to examine and take joint action into Kurdistan Region, that, due to its climate and the quality of the water, has a strong agricultural and livestock vocation. The High Representative, while stressing the difficult situation of the Region, actively engaged in the fight against Da'esh, is willing to accept any projects and collaborations in this sector.